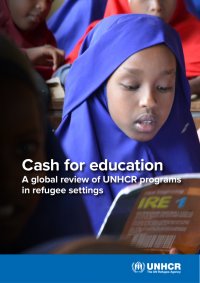 - Note: Includes a link to information about the 2019 Global Education Monitoring Report, which will focus on migration and education. - Note: The full-text is under embargo until 21 June 2019; however, it is possible to request a copy via the a/m link. See also related news release. - Special issue on "Teaching about Refugees." The introduction is freely available. - Learn more about this research project from this vacancy announcement and this presentation. - Here are the HC's statement as well as the Declaration and Plan of Action that resulted from the conference.